at those who live outside of an urban center. Many other writers have written about the flaws of Pokémon Go, and while those are all very valid, that is most certainly not my aim with this article. Instead, I want to provide a rural perspective on Pokémon Go that hopefully might be looked at to improve the game. As I mentioned previously, I have played for several days at this point and I have indeed now captured Pokémon. I did this by getting into a car with a friend and driving to a larger town around fifteen minutes away from where I live. This process showed several issues with the way in which Pokémon Go’s systems are set up. Firstly, unlike in cities where there is a sidewalk, where I live there is no such thing as walking around on the streets. Even in small towns that have sidewalks rarely if ever do people walk around do to lack of parking and with most people not living in the town itself there is little call for window shopping. I was forced to stop several times on our trip around town in front of people’s houses in town in order to capture Pokémon. That is the essence of what Niantic forgets about rural areas: it is much easier for a rural person to walk out into the wilderness than to get into a car and drive to a location. Beyond the safety issue of looking at a phone and trying to drive, this also feels like it runs against what the game seems to want – walking. Not to mention the issue I encountered were driving can cause Pokémon Go to enter a lagged-out state where no Pokémon pop up, because it can’t refresh fast enough to keep up with a car’s speed. This could just be me, but I did encounter it several times when driving around looking for Pokémon and as has been demonstrated during the launch the server for Pokemon Go is somewhat unstable. I understand the want by Niantic to build a sort of community around Pokémon Go; with people going to various places and meeting up to either catch Pokémon or battle gym leaders, but that just fundamentally does not function in the way they want it to (at least for people outside of a city). I mean, if they want a person to walk for all their Pokémon in Pokémon Go, (as indicated by the avatar walking around on the screen) then they have no concept of how a large majority of people across the world live their lives. Sure, someone in a rural area could walk on the roads to try to find Pokémon, but that would be an extremely stressful experience with no sidewalk and roads that twist and turn frequently. This issue can be solved, however, by allowing Pokémon to spawn away from roads or buildings. Niantic has proven they can already do this with the incense item which allowing Pokemon to be drawn to a location proving that it is not beyond the game to do so. National and State Parks could benefit greatly from such an addition as it would encourage people to get out and hike. There is already some of this occurring, but it depends on the area. Pokémon Go’s strength lies in the same area as something like the Pokéwalker – making people get out and walk around. Making it so that can happen anywhere just improves the experience for everyone, not just those who live in rural communities. The social aspect of Pokémon Go is not something those who live away from urban centers get to experience very regularly. I think it would be only positive to give those gamers such an experience. There is more to Pokémon Go than just catching Pokémon, however, as there are Pokéstops and gyms. Having to travel to a gym is actually a cool idea which I have no problem with. It is very similar to the way the Pokémon games traditionally frame their narrative, with a kid from a small town journeying around and getting badges from gyms. The only issue for someone from a rural background, is not knowing where the gyms and Pokestops are without first seeing them on the map. An example of this occurred when I went to one of the nearby towns to find no Pokéstops and no gyms leaving me somewhat disappointed, but when I went to another there were many of both. 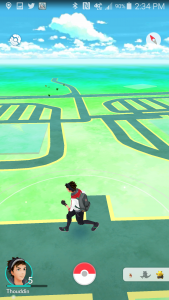 Due to the issue with distances relative to living in areas without a lot of nearby towns, it would be helpful to have an online browser just to make it easier for people to find gyms and Pokéstops. This is a simple fix that could improve the enjoyment of everyone playing the game, not just those in rural areas. I understand the want for exploration, but it seems silly to force people to have to drive around with only a chance of finding something to do. It also makes it easier for people to organize and do things related to taking over gyms. If we assume that Pokémon Go is tied into some larger map service, then simply putting those out with the marks for the gyms and stops would make things far easier. Fans have already taken to making crowd sourced maps with the stops on them. Niantic itself has even put out a similar map for Ingress another one of their games with a similar concept. Maybe they want people to spend money buying Pokeballs, but my hope is at least that it was just something they had not gotten around to at launch. Niantic has made a Pokémon game that has gotten people to interact with the property like no other game since Pokemon Red and Blue. My intention when writing this article was never to bash on Pokémon Go. In fact, I surprisingly found more that I liked about Pokémon Go than I hated. 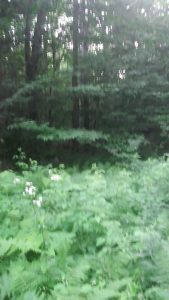 I just found it so very strange that Pokémon did not live in the woods, but instead in towns. Pokémon Go can either be a flash in the pan or something more. It can be a real event that draws people in. Whether or not Niantic will act on the issues I and others have highlighted quickly will determine if Pokémon Go stays relevant in the long-term. I hope that my perspective on issues in rural areas help to focus efforts to improve the game, because I want Pokémon Go to be successful. Just because rural communities are not the majority does not mean they do not want to share in the same experiences as those in cities. With little access to arcades, events, and even games themselves, rural gamers are almost never the focus. It would be nice if Pokémon Go could go beyond cities and let rural gamers, even just a little bit, experience a community around the games they care about.